We keep our gardening tools in the shed. Everyone shed a few tears when the movie got to the sad bit. This plant keeps shedding its leaves; there must be something wrong with it. Ruth moved the lamp to shed light on the pages of the book. This raincoat is made of material that sheds water. 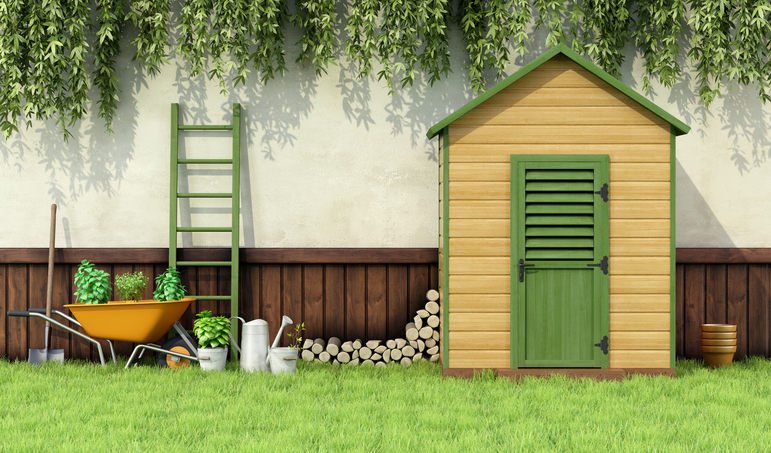 Shed, as a verb meaning to cast off, dates back to before the year 950. The Old English verb scēdan (pronounced sheh-dan), a variant of sceādan, meant ‘to separate or part company,’ as well as ‘to discriminate or decide,’ and ‘to scatter or cast about.’ It evolved into the Middle English sched(d)en or shed(d)en before dropping the old verbal ending and settling on the form we use today. It can be traced back to the Proto-Germanic verb skaithan, and is related to the Old Saxon skethan, the Old Frisian sketha, the Middle Dutch sceiden, the Dutch scheiden, the Old High German sceidan and the German scheiden (all meaning ‘to part, separate or distinguish’), and the Gothic skaidan (to separate). Some linguists believe it originated in the Proto-Indo-European root skai- (to cut, separate or divide), but there is not enough evidence to know for sure. It has been used in reference to animals losing hair or feathers since around the year 1500, and to trees losing their leaves since the late 16th century. Its use in reference to taking clothes off is from the mid-19th century. The noun shed is unrelated, and dates back to the late 15th century. The Late Middle English shadde was probably a variation of shade, and meant ‘a light, temporary shelter.’ Its current meaning dates back to the mid-19th century.